If you're still trying to hunt something down for your Smiths-loving friends this Christmas, you might want to pick up a newly released bootleg LP that features a number of unreleased takes courtesy of the mopey '80s outfit. Slicing Up Eyeballs points to the recently surfaced Unreleased Demos & Instrumentals, a double LP that collects 16 rarities, including a reggae take on "Girlfriend in a Coma" and the original recording of "Sheila Take a Bow." The 16-song set of outtakes primes itself to be a hot addition to any Morrissey-obsessed fan's collection and is claimed to be 100 percent authentic. While a boot can be kind of sketchy, all the material appears to be on the level. 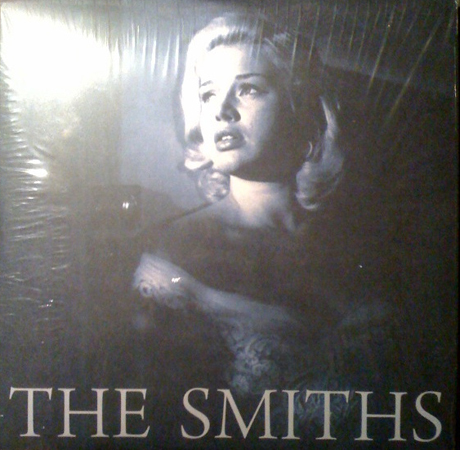 "This is the real deal, folks," wrote Smiths-dedicated blog Extra Track (and a tacky badge. "From a collector's standpoint, these are nearly all the outtakes and alternate unreleased mixes everyone drooled about while reading Simon Goddard's excellent book (The Smiths: Songs That Saved Your Life). A track-by-track overview of the set can also be found on Extra Track here. In the meantime, check out the tracklisting, as well as a few samples, below. You can also download the whole thing up on Morrissey fan page Morrissey-Solo right over here. 1. "The Hand That Rocks The Cradle"
2. "Reel Around The Fountain"
4. "The Queen Is Dead"
5. "Sheila Take A Bow"
6. "This Night Has Opened My Eyes"
7. "Untitled One (Marr Instrumental)"
9. "There Is A Light That Never Goes Out"
10. "Is It Really So Strange?" 12. "Shoplifters Of The World Unite (Reprise)"
13. "Girlfriend In A Coma"
14. "Death Of A Disco Dancer"
15. "Paint A Vulgar Picture"
16. "Untitled Two (Marr Instrumental)"